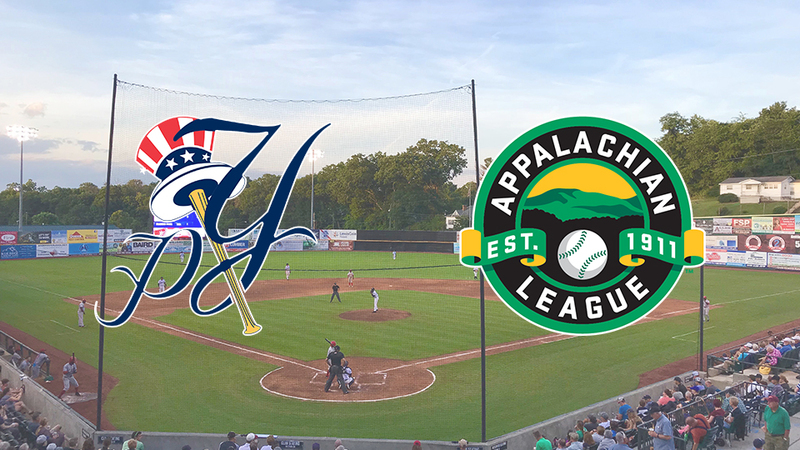 PULASKI, Va. - The Appalachian League today announced the recipients of its annual awards for the 2018 season, with the Pulaski Yankees claiming two honors. Yankees General Manager Betsy Haugh was named the League's Woman of Excellence, while David Gravely of The Southwest Times earned the League's Sports Media Award. The awards are voted on by the Appalachian League General Managers. Haugh, who served as the Yankees' Assistant General Manager during the 2018 season, was named Appalachian League Woman of Excellence for the second consecutive season after previously earning the recognition with the Danville Braves in 2017. The Woman of Excellence award is presented to the woman who has made outstanding contributions to her club, community, league, and/or baseball, and, as the 2018 Appalachian League recipient, Haugh will serve as the League's nominee for the 2018 Rawlings' Woman Executive of the Year Award. During the 2018 season, Haugh helped the Yankees achieve record attendance, setting single-game (4,068) and single-season (91,226) bests thanks in part to a revamped promotional schedule. In her first season in Pulaski, Haugh, 25, helped manage the team's marketing and social media efforts, worked with local businesses for corporate sales, and oversaw the organization's internship program. The Earlysville, Va. native continues to serve as the Appalachian League Publicist and assisted numerous teams in the league in creating their new websites during the MiLB responsive migration prior to the start of the season. Gravely was recognized with the Appalachian League Sports Media Award, presented to the media person or outlet doing the best all-around job of covering a particular club. He serves as a photographer and sports reporter for The Southwest Times, attending the majority of the Yankees' games throughout the season. His photographs can be seen on The Southwest Times' Facebook page and across various Yankees' outlets, as he allows the front office to use the photos for a variety of purposes, including social media and digital promotion, as well as the players' trading cards. Gravely also created "Play Ball" inserts weekly to showcase photos and highlights from Motor Mile Field at Calfee Park. For a complete list of 2018 Appalachian League award winners, visit appyleague.com. Information about season tickets and sponsorship opportunities for the 2019 Pulaski Yankees season will be available in the coming weeks at pulaskiyankees.net or by calling the team's front office at (540) 980-1070. The Pulaski Yankees are the Rookie level affiliate of the New York Yankees playing in the Appalachian League. Pulaski is celebrating its 53rd season in the Appalachian League in 2018. Calfee Park has won league championships in 1948, 1969, 1986, 1991 and 2013. Calfee Park opened in 1935 and was renovated for the team's first season as a Yankees affiliate in 2015. 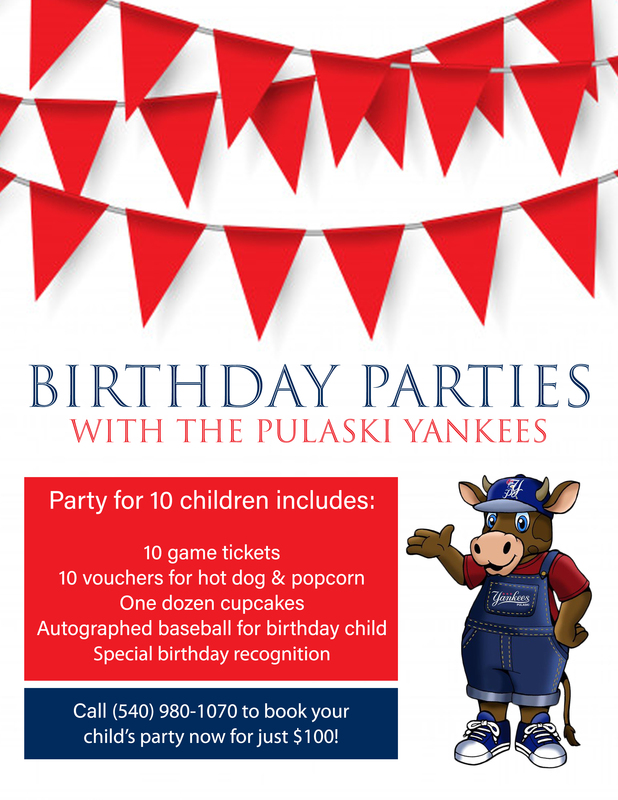 For more information, please visit www.pulaskiyankees.net. This story was not subject to the approval of the National Association of Professional Baseball Leagues or its clubs.